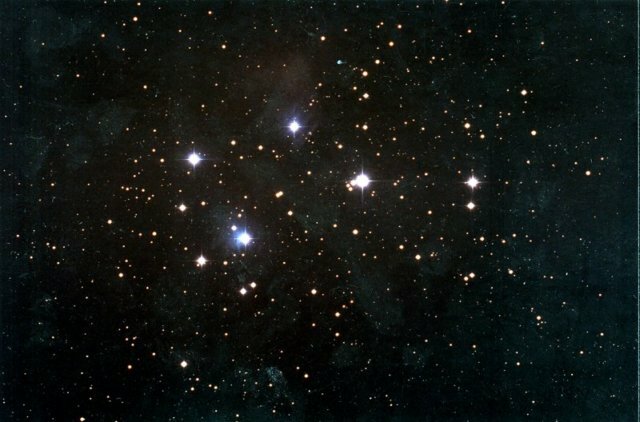 Also known as the "Seven Sisters", this is the best known open cluster. Photo by Steven Willliams, using a 25cm Talkahashi Newtonian @ f/3.4. Kodak 1000 and a 30 minute exposure.